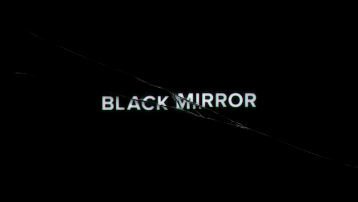 Black Mirror is undoubtedly one of the most popular television shows in recent years with each new episode being an event to look forward to. Created by British columnist and author Charlie Brooker, Black Mirror started out in 2011 as an oddball science-fiction show airing on Channel 4. But realising just how brilliant it is, Netflix purchased the rights for the show in 2015, turning it into a global sensation attracting an eclectic mix of A-list actors and directors. People just can’t get enough of it but with only 19 episodes so far, we’re definitely left craving more. And although Netflix have announced a fifth series is on its way there is currently no release date, leaving fans lost for what to do. But there is no need to worry any more as we have an answer to all your problems. That’s because a Polish spin-off version of the show has been released on YouTube for you to watch, right now, for free. And before you question whether it is legitimate, Netflix Polska commissioned the officially licensed show which is called Czarne Lusterko, meaning Little Black Mirror. All four episodes, made by various YouTubers and creators are available to watch right now and are between 10 and 20 minutes long. In line with the British version, Czarne Lusterko examines modern society looking at the consequences of new technology. Covering similar subject matter, the show tackles immersive video games, manipulative vloggers and creepy wellness apps among other things. Handily Netflix Polska have created a playlist on their YouTube account where you can watch them one after the other. One of the reasons the world loves Black Mirror is because it somehow creepily predicts the future. If you think back to series two, you may remember The Waldo Movement which told the story of a failed comedian who performs as a blue cartoon bear, Waldo, who comically interviews politicians. In September last year, Apple announced a brand new feature for their iPhone X which creepily reminded us of the storyline. Introducing animal avatars known as Animojis, this feature would use the phone’s ‘true depth’ camera to allow the creatures to move and respond to what face you make. And this isn’t the only time Black Mirror has done this. Samsung recently patented a contact lens which has an integrated camera – straight out of series one’s The Entire History of You. Also in Hated in the Nation, bees have died out and are replaced with drones which pollinate flowers instead. And while drones the size of bees have not yet been made, developers have shrunk them down to the size of small birds which means this idea may not be far off.